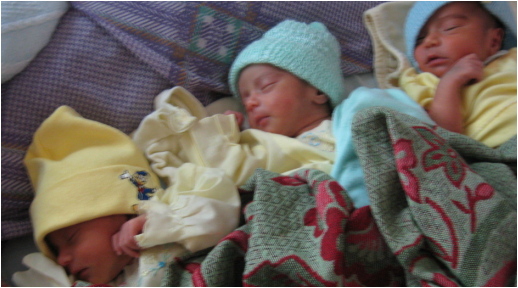 The Casa Materna exists to reduce maternal and infant mortality in the Matagalpa region of Nicaragua. Most women in this rural region give birth at home, attended by a midwife. The Casa Materna allows mothers with high-risk pregnancies to be closer to the regional hospital and to receive vital care, education, and accommodation in the days just before and after birth. Now, mothers most at risk are attended by medical professions during their birth at the nearby Regional Hospital. ​In addition to the services before and after birth, the Casa Materna also supports women in their home communities through a follow-up program as well as through outreach to adolescents and midwives in the surrounding communities. When the Casa Materna was started 25 years ago the reported maternal death rate in Nicaragua was 190 deaths (per 100,000 live births ) and in some parts of the mountainous Matagalpa region the rate was as high as 375. Women with high-risk pregnancies would often travel many hours to a regional hospital, only to be turned away because they were not in active labor. With nowhere to stay, many had no choice but to make the arduous trip back home, and give birth without needed medical attention. For too many women, it was a death sentence. The idea of the Casa Materna grew out of a peaceful movement that was started by Mary Ann Jackman, a young Nicaraguan sociologist for whom the Casa is named. She gathered a group of women from around the globe who were in Nicaragua at the time to find ways for to take positive action through international solidarity. After Mary Ann's tragic death, while she was 6 months pregnant, this group of women continued to meet and focused on decreasing maternal deaths. The initial gift to start the Casa came from El Instituto de la Mujer, a women’s group in Spain. The Casa building was in essence a gift from the people of Cuba, who sold the former Cuban embassy for far less than it was worth. The following year, the Casa welcomed its first mother on October 30, 1991.